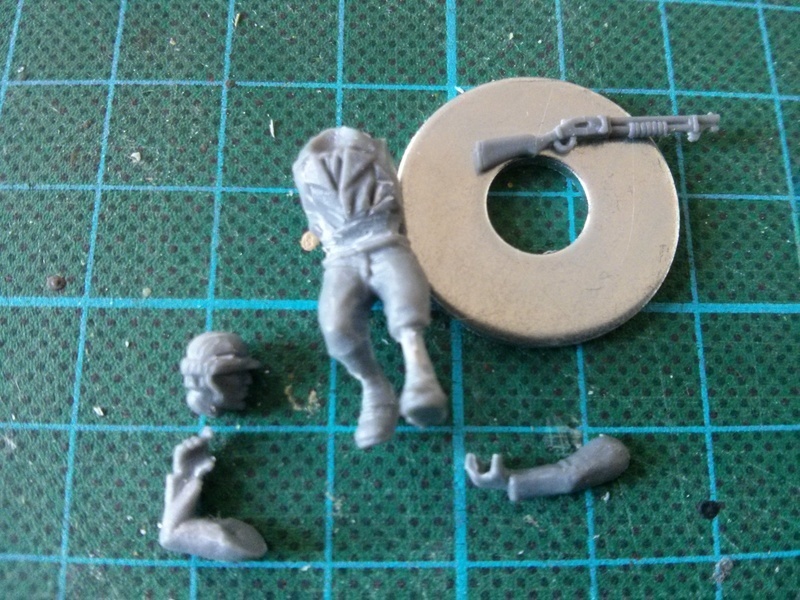 While looking for miniatures I could use to convert to 40,000 militia/gangers, I thought I could give the WWII american infantry from Warlord Games a try, as they could be easily converted. 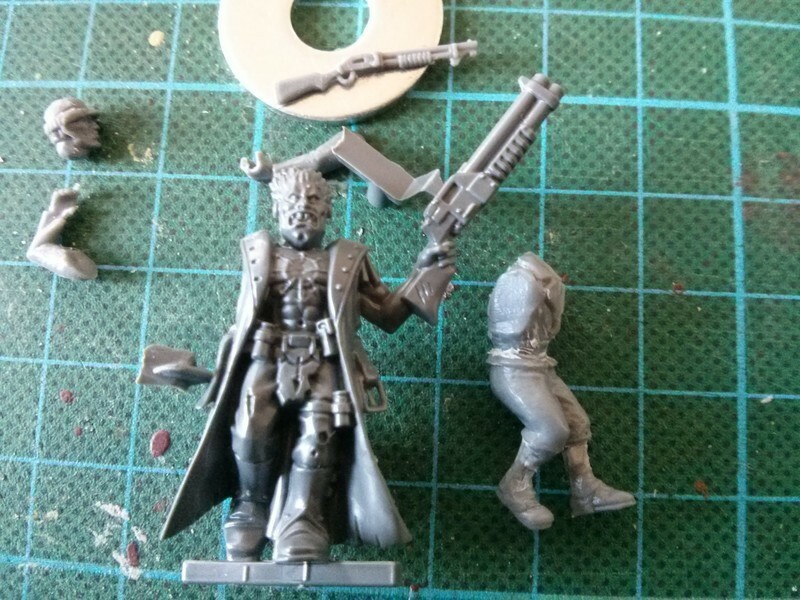 I ordered one model through Mega Bitzshop to check on its size. 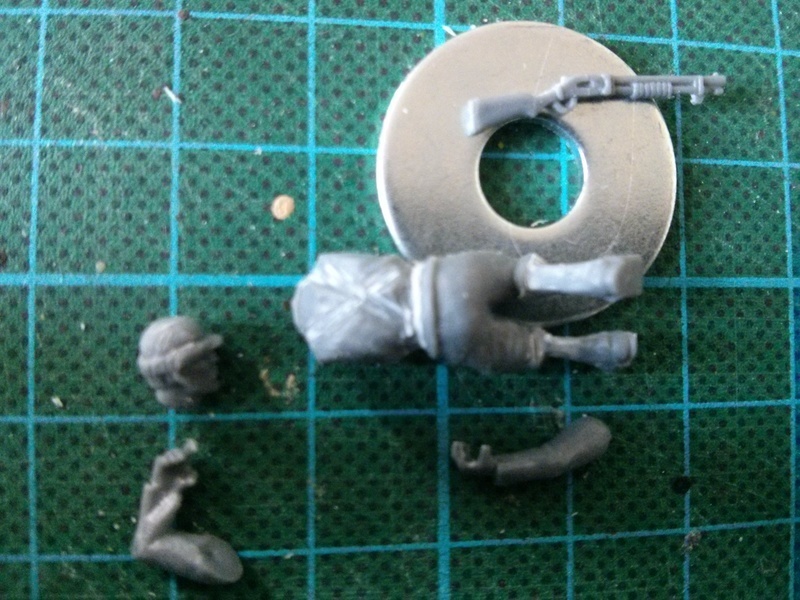 Luckily I did so, because the model is way too small compared to GW, probably 25mm vs 32mm scale. So I decided to use the model as an addition to my modern characters. I cut away all the webbing and the obviously WWII style boots. 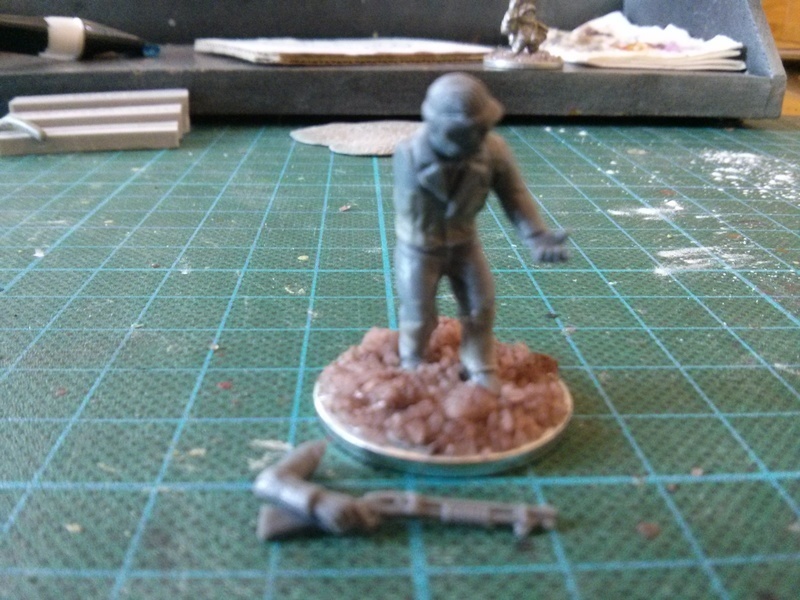 I then used putty to resculpt the areas into plain cloth. The shotgun arm I left off for ease of painting.